I kicked myself again this past weekend for not taking advantage of the masher my mother offered me over winter break when I was home. 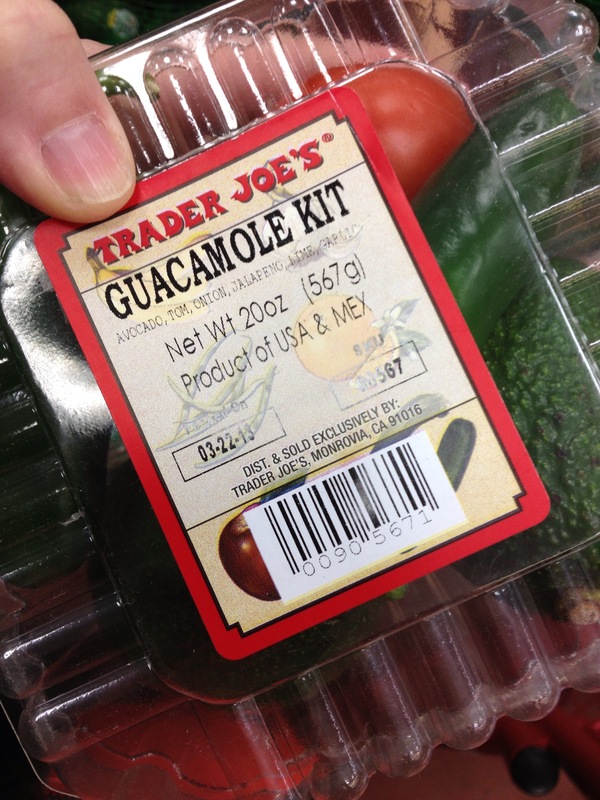 Me and my boyfriend made guacamole with this fun kit my parent’s picked up for us at Trader Joe’s last weekend when they were in town. My loyal sous chef helped me cut up all the ingredients, mashed with a fork, and, voilà! Guacamole! 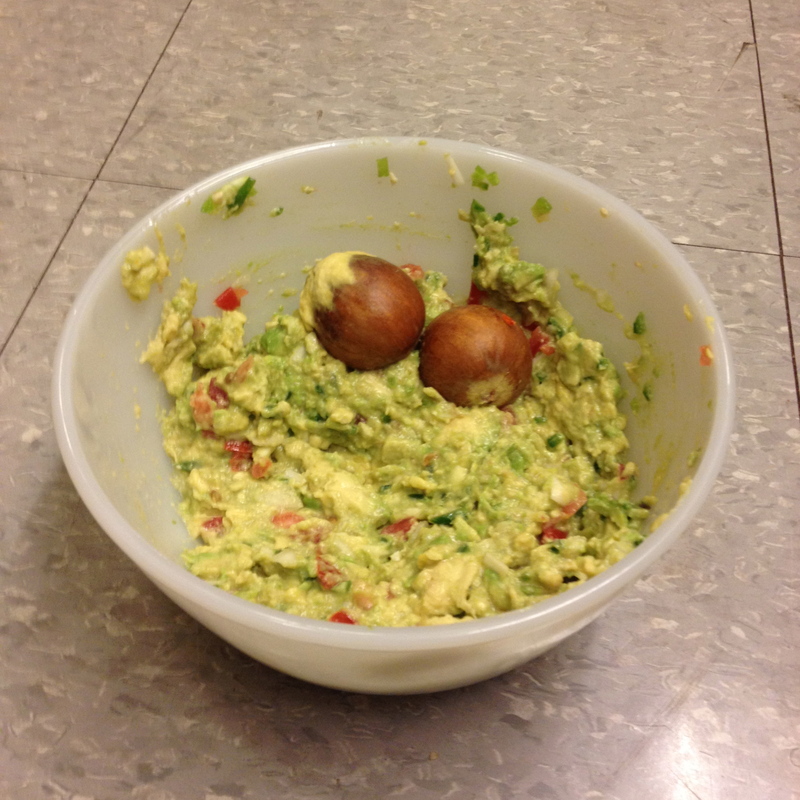 A trick I picked up from Sam – leave the pits in the guac and it will stay fresh for days! True story. It only took 20 minutes to make, and I enjoyed this for a couple days with some blue corn tortilla chips. I leave the pit in the avocado when I’m only using part of it. It does help! Cute kit! What did you do with the other jalapeno?